Bodycoach affordable personal training is dedicated to helping our clients achieve their health and weight loss goals through quality exercise coaching and sound nutrition programs. 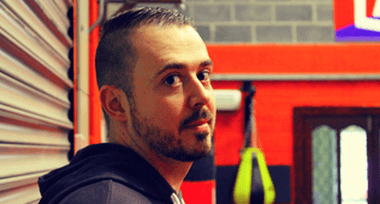 Based in Dublin 12, with 9 years’ experience as a personal trainer, I began with a simple goal to help people that felt lost, constantly struggling to improve their health and not getting anywhere. I have proudly transformed hundreds of lives through my personal training business with fitness and healthy lifestyle changes. With so much poor information out there from fitness coaches and gym trainers, I felt I could bring something different to the table by offering weight loss and nutrition programs to my clients that went back to basics and teach them how to maintain these changes easily so they don’t slip back into old practices, but most importantly make it fun and achievable for the normal person. Bodycoach offers affordable personal training in Dublin, you can see our personal trainer prices here. We run weekly fitness bootcamp classes for normal people, these classes are for all fitness levels and are fun with a friendly group of people all supporting each other with no ego’s! For more details on our Weekly fitness classes click here! You can check out our personal trainer client reviews here, we're pretty proud of our personal trainer reviews. You can also visit our blog to get tips and advice from our fitness coach here. So lets help you start reaching your own goals, get in touch with me today, you will be amazed by how much you can achieve in few weeks. ​I've being training with Michael the last 8 months and I couldn't fault him or his class at all. Constantly supporting me and encouraging everyone to work harder and do better for themselves. I was never a gym person and would go two or three times and leave but I genuinely enjoy going to class and having a laugh while training. Since I have started with Michael I've lost just under 20 kg and he has being so supportive since the very start... 100% recommend Michael to anyone looking to lose weight or to become fit in a comfortable environment. Thanks Michael for everything. Looking forward to training with you and seeing what changes I can make in the next 8 months. ​"Approaching 30 I realized how much time I'd wasted and decided it was time to change. I didn't know what change would be, Also, I felt I was a lost cause. I believed that most people who see a personal trainer had some basis of fitness before they start and they go to trainers to tone up.Physically, I think the change speaks for itself. I'm carrying a stocky but not obese frame, I've discovered new hobbies / new passions that I never thought my body able for and I consider myself a fit person - a reality I never thought I would see. What else can I say - I just feel great."